When you think about athletes that are in training, you probably picture intense workouts and a strict diet. What you may not think about is athletes getting quality and plentiful sleep. Rapid eye movement (REM) sleep is critical for letting the body repair itself after a long day, be it from mental or physical exertion. When REM sleep is cut short, cognition may be impaired and muscle may not have had the chance to fully heal. Reaction times. For the desk jockey or weekend warrior, reaction times don’t always come into play in day-to-day duties. But for elite athletes, reaction time is a major part of any sport. Lack of sleep has been compared to alcohol consumption when referring to the effect on reaction times. There are obvious physiological differences between being tired and being drunk, but your motor performance in both scenarios is similar. Rate of injury. A good night’s sleep allows your body to heal itself and protect against any aggressors from the day. This goes for injury, illness, or just general wear and tear on your body. As mentioned above, not achieving optimum REM sleep cycles will affect this process. But without the healing that comes from restorative sleep, you leave your body prone to injury and reduced overall health. You could also injure yourself from impaired motor skills mentioned in the first point. Staying in the game. This can go for just one game or for an entire career. Studies show that quality sleep leads to longer careers, especially in Major League Baseball players. It is a very linear relationship. Peak performance. Whatever that metric is for a sport, sleep helps athletes achieve the highest level of performance. Running the fastest, jumping the highest, lifting the heaviest all can be affected by sleep. 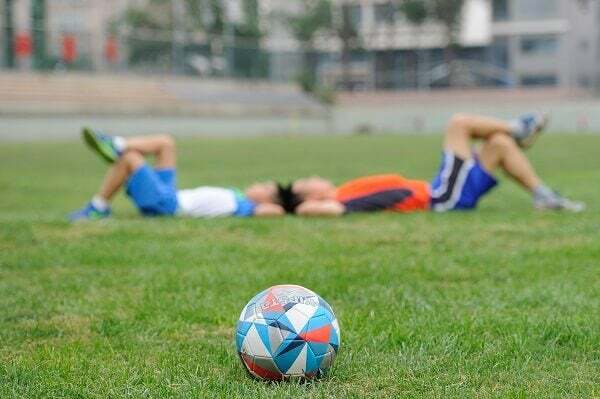 A recent study encouraged athletes across multiple disciplines to get as much sleep as possible a night, some with the goal of 10 hours a night, and then measured their athletic performance after 7 weeks of the new sleep schedule. As I’m sure you’ve picked up by now, their performance was increased across the board. Mental errors. Like reaction times, lack of sleep can impair your judgement like alcohol can. Focus, memory, learning, and motivation are also impacted by a reduced number of zzzz’s. Simply feeling tired can affect athletes across all of the mental parts of their sport. The effect of sleep on athletic performance is not a new topic or concept, but for those of us that aren’t elite athletes, it’s a nice reminder that sleep is important. The idea of sleeping when we’re dead is not only unhealthy, but dangerous physically and mentally. We all need to perform our best in our daily roles, and sleep is key for that.